Promote healthy lifestyle with our 22 oz. / 600ml Transparent Mini-Mountain Shaker Bottles. The Bottle feature ergonomic finger grips, new Drink-Thru Lid and mixing ball. Fully assembled. Got a heath services program running? Looking for a good gym give-away? Or maybe working more generally in the diet and exercise space? Regardless, Garyline has you covered with their Made In the USA 22oz. Shaker Bottle. With multiple colors for the bottle, the lid, and the mixer ball, the freedom to mix and match allows for a big color pop at no additional cost. The 22 oz. Shaker Bottle also features no extra charge for same color imprint on the second side of the bottle. Optional full color digital imprint is also possible on this item. So really a lot of decorating options are open for a creative design. As well as being USA made, the 22 oz. Shaker Bottle is top shelf dishwasher safe, and CPSIA compliant. The bottles are actual on sale at $2.70 through 9/30/2018. If you are interested in the Made is USA 22 oz. 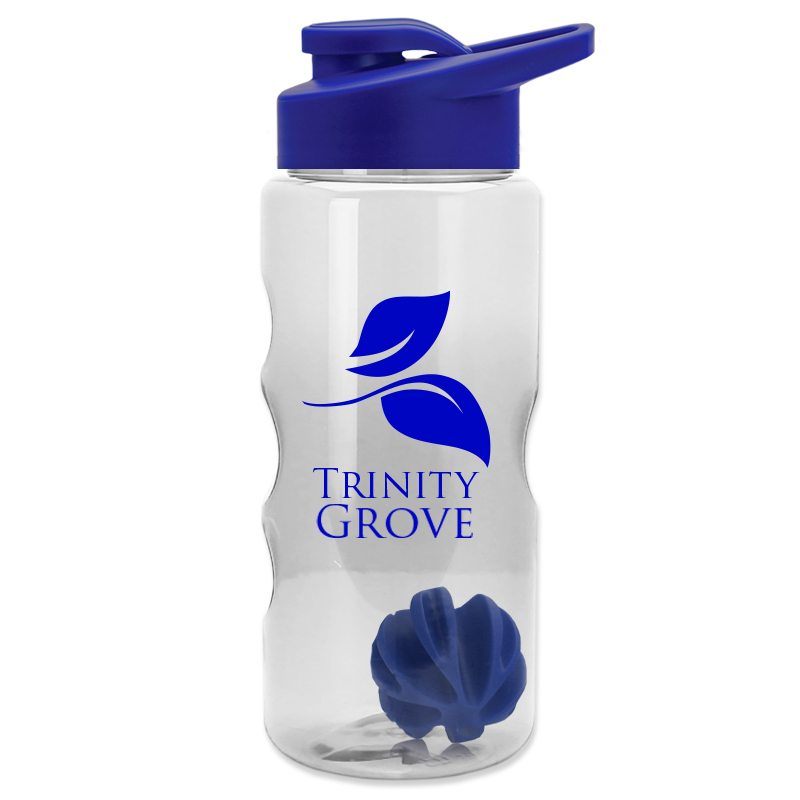 Shaker Bottle to promote your own business, or to get a sample, email info@proformagreen.com for information and pricing.